PolyCHECK Swabs Constructed of black and white fabric for inspection and verification protocols. PolyCHECK® Swabs are designed to allow engineers and technicians to validate the cleanliness of critical surfaces. 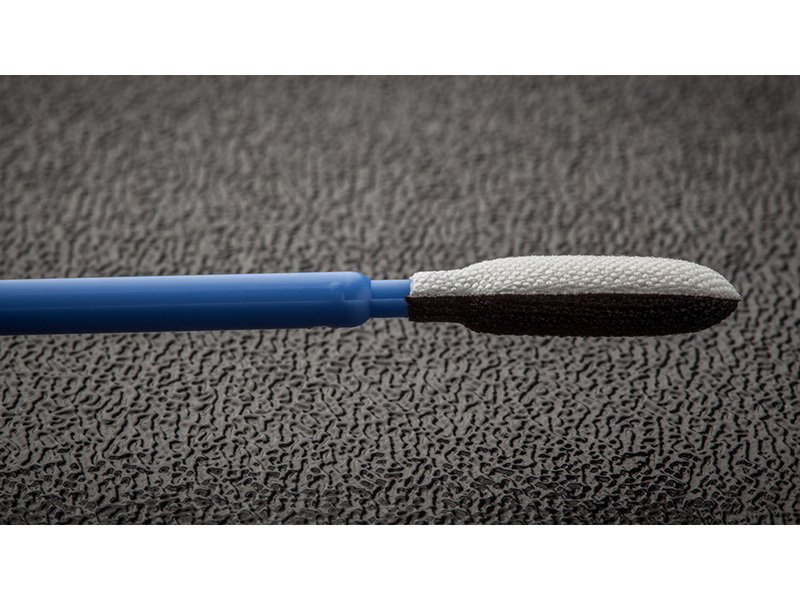 PolyCHECK® Swabs employ a white fabric on one side and a black fabric on the other side in order to give clean room professionals a unique particle detection tool. Ideal when used in conjunction with SEM Analysis. 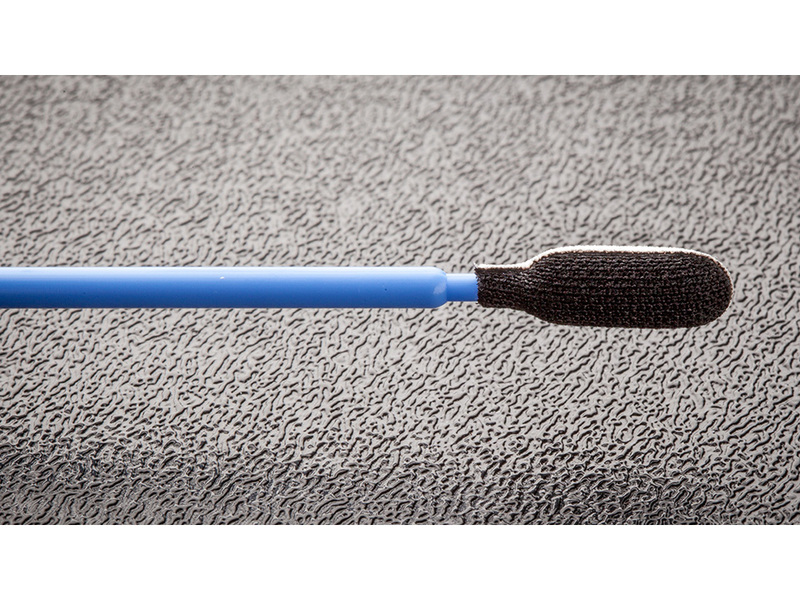 Eliminates the need to contact SEM stubs and tape to critical chamber surfaces. Allows for faster analysis of particle sources during tool excursion events. 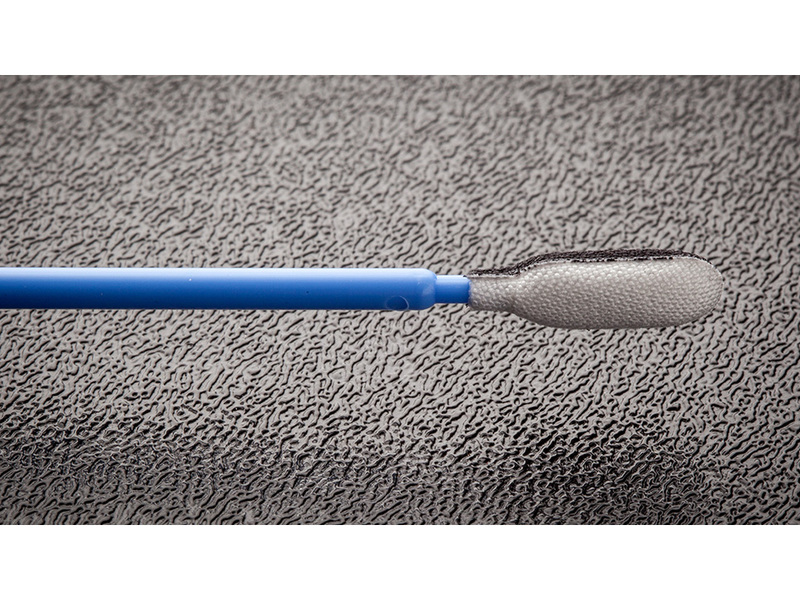 Perfect for defect analysis involving SEM stubs.-Ideal for Go/No Go validation checks in vacuum maintainence procedures. 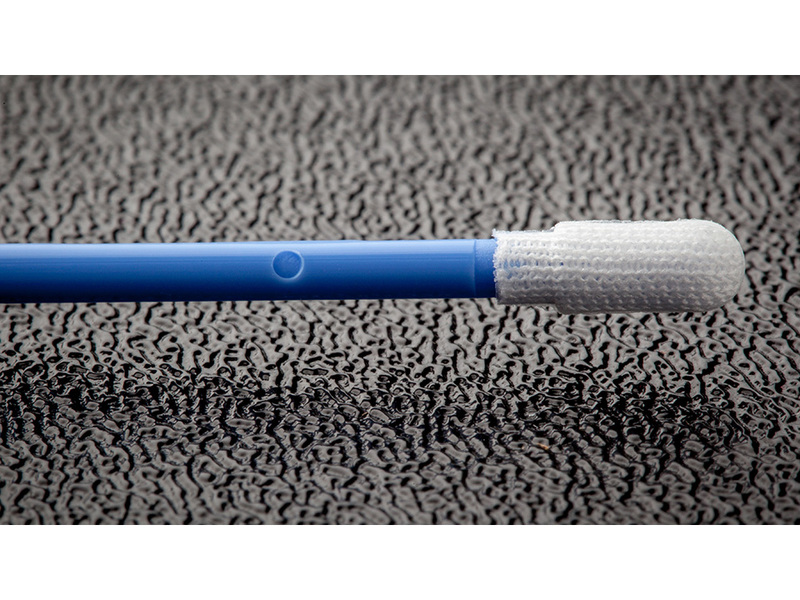 PolyCHECK® Swabs enable frequent inspections to monitor for particles that may back scatter into process chambers.